When it comes to flat roofing in Newcastle, we offer several unique design options and materials from which to choose. All our high performance mineral surfaces have specialised chippings integrated into the felt for supreme thermal benefit, and at the other extreme can tolerate temperatures as low as -15°C.As with all of our other roofing services, Withers Roofing Limited will examine your exact flat roofing needs and work together with you to decide upon the best system and materials which will reduce costs over time and guarantee to improve the robustness of your flat roof.This is then coupled with knowledge of all relevant building codes and specs. We also comply with current CRC rules ensuring that quality is not compromised for cost. And we think about factors such as proper drainage, any necessary slopes and even waterproofing adjacent wall structure as dictated by modern legislation.We keep our clients well informed throughout installations and repair work, even keeping a vigilant eye on the weather forecast to ensure no disruption to the customer or the customer’s home. The end result is always cost-effective flat roofing that will endure even the most demanding of climate conditions without having to sacrifice aesthetic appeal. Providing a cost-effective solution for your flat roof, high performance felt roofing gives you a traditional strong surface which is protected from UV radiation. Our felt roofing installers are properly trained and insured to complete hot works on your property, and the high performance systems we use will ensure a long life expectancy and include a manufacturers warranty for total reassurance. Felt flat roofing in Newcastle is suited for all domestic flat roofs, including garage’s, extension’s, and shed roofs, specially when a long-lasting solution is required. If you go for a high performance felt roof for your flat roof, the team at Withers Roofing Limited will install your new roof quickly, safely and proficiently, ensuring your area is clean and tidy once we leave. EPDM is waterproof and weather resistant, providing a modern alternative solution for all types of flat roofs including garages, single storey extensions and many more. If you’re interested in collecting rain water, the EPDM material won’t contaminate your rainwater, ensuring that it is suitable for personal use. A synthetic rubber, EPDM rubber roofing in Newcastle has a long life-span and will flex to the climate conditions ensuring that it will never bend and break. GRP, also referred to as fibreglass roofing, gives flexibility in design whilst being a cost-effective way to prevent leaks into your home or business. As professional flat roof fitters we can recommend the right flat roof solution for your property. 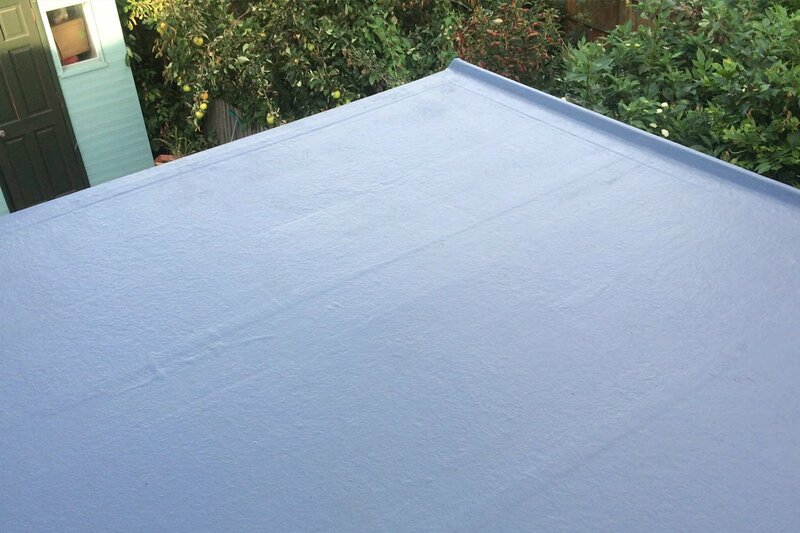 With a number of colours and finishes available, GRP roofing in Newcastle is a toughened surface and is also appropriate to be used as walkways, terraces or balconies.